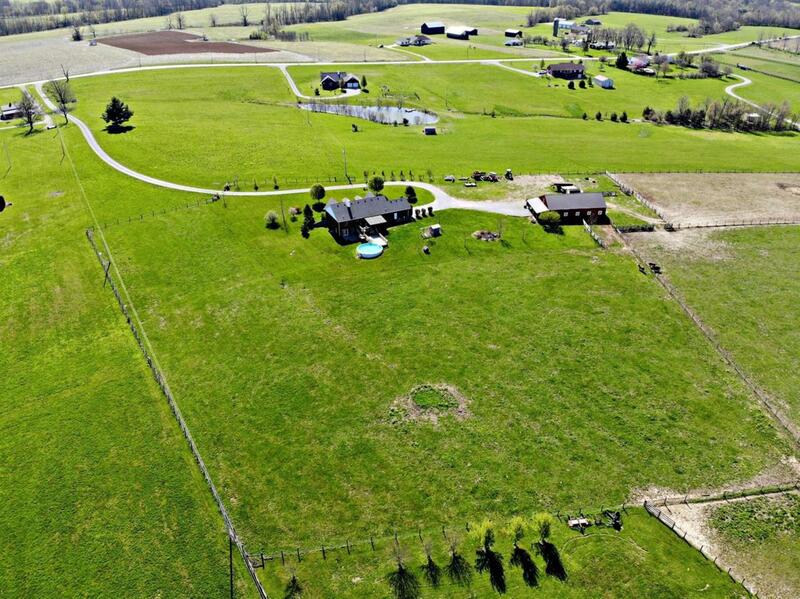 Welcome Home to Comfortable Country Living. 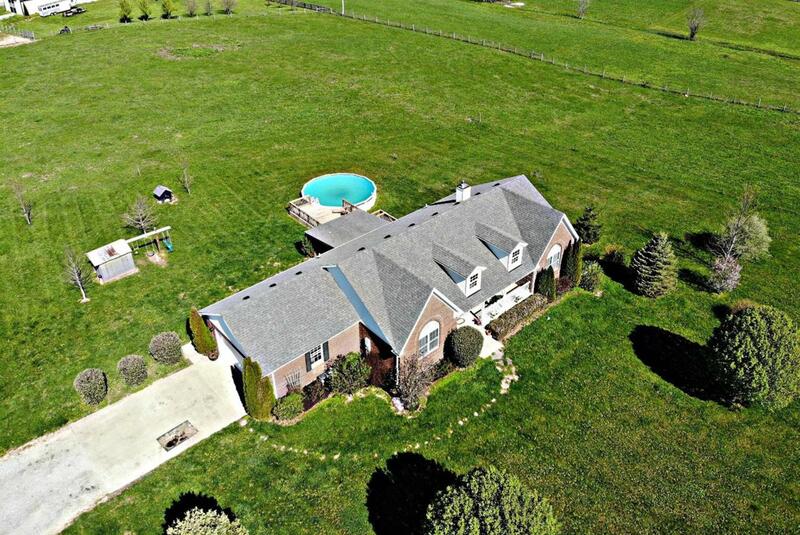 Beautiful brick home situated on a 20 acre farm that includes fenced pastures, a 8 stall horse barn with tack room, a 5 acre Alfalfa Field, and cute chicken coop. 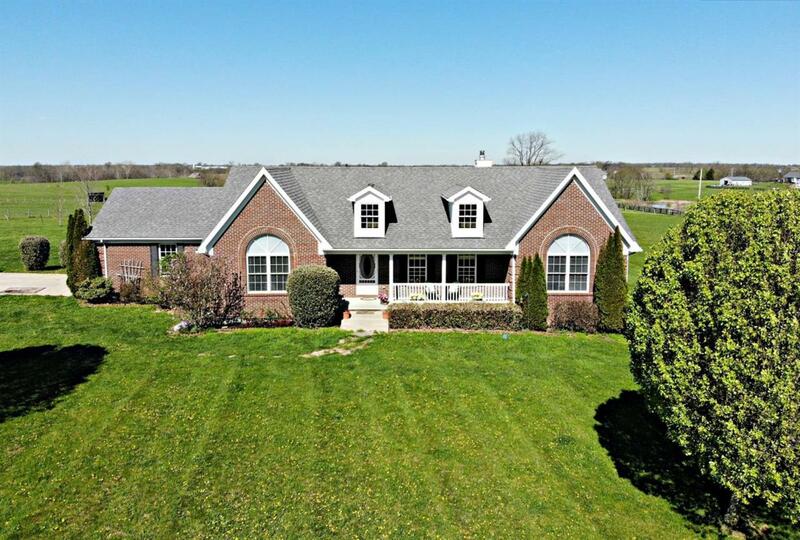 This custom built home features 3 Bedrooms on the main level each with nice deep closets, an elegant Master Bath, Full Hall Bath, L Laundry/Mud Room, plus an Wide Open Living Room/Kitchen with Granite counters, ample cabinet space and a custom Island. The Finished Walk-out basement has a Full Bath and Large Bedroom, another room being used as a Bedroom, a Rec/Pool Table area & storage room. Get ready to enjoy summer days around the pool or watch sunsets under the covered back deck. This property has so many special qualities that add functional character. Beautiful views all around! 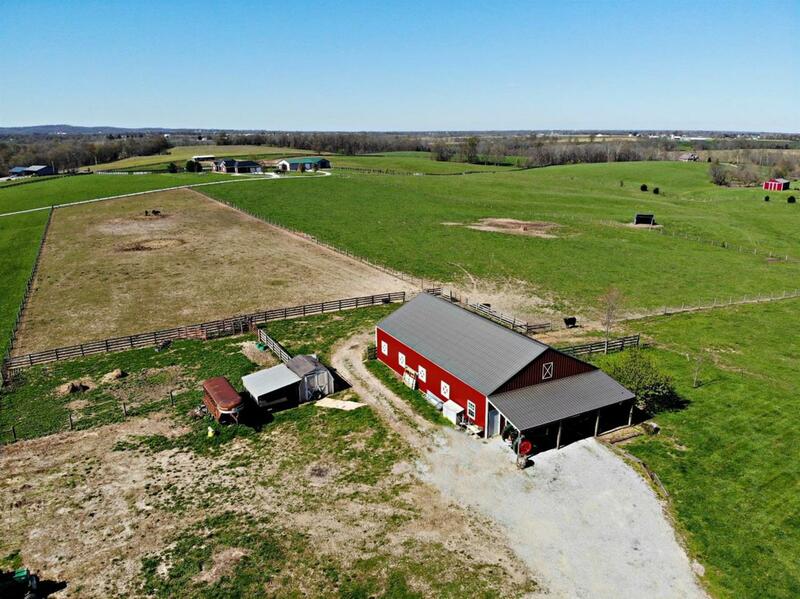 Listing provided courtesy of Erika Williams of Home-Land Of Kentucky. Listing information © 2019 LBAR Multiple Listing Service. All rights reserved.